Josh begins to talk about the church and their feelings on LGBTQAP+ issues and where he stands on the material presented by these writers. Are we really having to have another discussion about this? Aren’t we done? It’s hard to be funny when you’re fuming, when you’re finding it insanely hard to keep from turning into a giant green rage monster. So, a couple of Sunday’s ago (09/07/2017 – if you’re wanting to look for what I’m talking about) the BBC hit Sunday Morning Live talked about the issues of Transgender persons in the eyes of the Church of England (CoE) and whether they should be more accepting. This is in regard to their annual Synod that occurred the previous week. At this point n the show I, maybe a little too eagerly, shouted at the TV “Of course we should! They’re people!” and other than being a mad left-ist, who just wants people to put up and shut up with one another instead of creating divides in the human race, I am a person who has read the Bible. Not cover-to-cover like a book, because that’s hard and also it’s more a textbook than a copy of the Hobbit; but that’s not my article, and you can search ways to read it for it to be more meaningful on your own time. “The King will reply, ‘Truly I tell you, whatever you did for one of the least of these brothers and sisters of mine, you did for me. '” – Matt 25:40. With that in mind, if everything you do to others reflects how you are showing your love for Jesus, should you not get off your high horse of internalised bigotry and at least treat them with the respect of a human being? I would say that if you are telling someone that they are wrong for a part of themselves they can’t change, that’s not something too different to what Jesus was killed for is it not? Not backtracking on who he said he was when people didn’t like/agree with what he said? 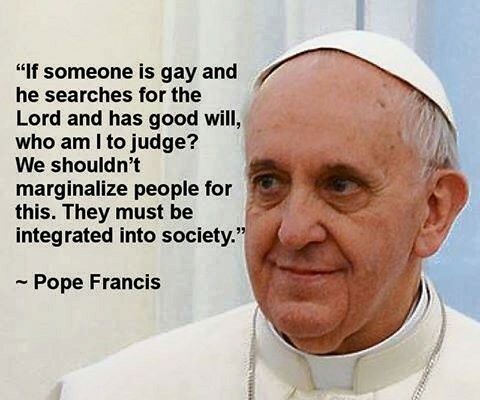 Well, as the Synod goes on so do the conservative Christians, who keep feeding me more and more articles. One article written by Sam Allberry states how being okay with homosexuality makes you un-evangelical, un-Anglican and un-Christian. You see, saying that you disagree with a trans person is all well and good if you’re saying that, say, custard creams are better than that of Bourbon biscuits; you’d be wrong but you can disagree. You can also disagree on if someone’s style is punk rock or if it’s just an edgy little indie kid, that is fine. However you cannot say that you are just having discussion when saying to someone “your identity doesn’t exist” people have done this too long and the idea, the memes, the jokes all normalise hatred and violence to these people who are already going through a lot in the form of an identity crisis and trying to carve their own state of being in their own mind as well as the thoughts of those around them. Because although these figures, including Eugene Peterson (cited in the Theology Review article as the guy who wrote The Message version of the bible) all have a lot more to lose than our friend Sam Allberry, in regards to public opinion, I stand with the opinion that it would not even surprise me if these men turned out to be opposed to homosexuality rights, especially in the church. So, my main point about this is is why are these writers like Allberry and many more wanting to have this argument when the great figureheads of their faith seem to be far removed from this view? Especially as they have the greatest amount to lose in God’s eyes with the fact that they could be preaching lies to a whole globe of people. I wouldn’t say that will help matters for their eternal soul. with that, the only pieces of scripture that have a bit on homosexuality has been used by humans. Humans of course are prone to their own failings and maybe it’s that their writing is of the time, as they didn’t understand that the faith would get past next week with the Romans killing everyone, so maybe they didn’t look two millennia ahead, because as they would happily tell you face-to-face, they are not the Christ. And maybe, just maybe, if we’re all full of sin, and we’re all making a mess of it, why don’t we just stop causing unnecessary drama and rifts, it doesn’t do the brand any good. We’re already on the back foot after the Crusades, the Irish whole deal in the 80’s, all those things about Catholic priests, that guy that tried to burn the Quran, and so many more. Maybe let’s just love and care and change things where we can, because “Let your will be done on Earth as it is in Heaven” starts with you, and starts inside you. Let’s start the selfless caring Revolution today, it’s what Jesus would want. So, if you have any points for, or against what I’ve had here we can duke it out in the comments sections of wherever you find this. If you’re ever interested in seeing the other things I do, please head over to ArmaDeus, where I produce my content and I’ll hopefully be preaching my opinions to you again soon. I’m no longer sure where you are getting your information, but good topic. I needs to spend some time studying more or working out more. Thanks for fantastic info I was looking for this info for my mission. Next Next post: A Woman Doctor Who?!?!? !